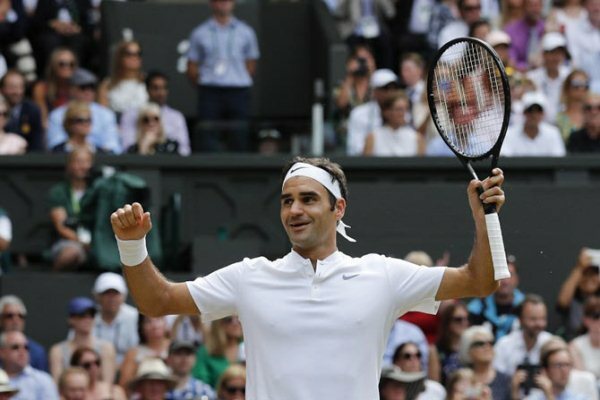 Two weeks ago, when the most prestigious tennis tournament kicked off, I, along with most critics, predicted the greatest of this generation (Roger Federer) to further enhance his stature. It was one of these predictions that not only considered current form, but also incorporated past performances. Federer’s grass is Wimbledon’s grass, not the other way around; he has sole proprietorship over it. By dismantling the injured Croat, Marin Cilic, in yesterday’s final 6-3 6-1 6-4, the Swiss maestro added to his seemingly never-ending list of accolades. His eighth Wimbledon title, a standalone record, and his 19th Grand Slam has now made the boy from Basel an ethereal being in men’s tennis. Even at 35 (36 next month), he is the dominant force that everyone needs to reckon with. There was no fair match yesterday; it was more of a lucid mismatch, just like the six matches Federer played before the final. A mismatch would mean Cilic, Tomas Berdych and Milos Raonic not putting up a fight or being disinterested, which they weren’t. Simply put, it was one-sided because of the sheer magic Federer possesses. It wouldn’t be surprising if he also enters the record books for not breaking a single drop of sweat during this fortnight. People say that Centre Court is Federer’s canvas and he is the Leonardo Da Vinci of men’s tennis. I disagree. It’s the other way around. Da Vinci is the Federer of art. A father of two pairs of twins, the great man’s prowess is inimitable. Federer’s opponent, Cilic, clearly carried a bruised blister which drove him to tears. Nevertheless, he showed a lot of heart and courage to play it out in a tournament which had been criticised for lack of empathy towards the game (read: early retirements). Could Cilic have beaten Federer if fully fit? Not likely, but possible. 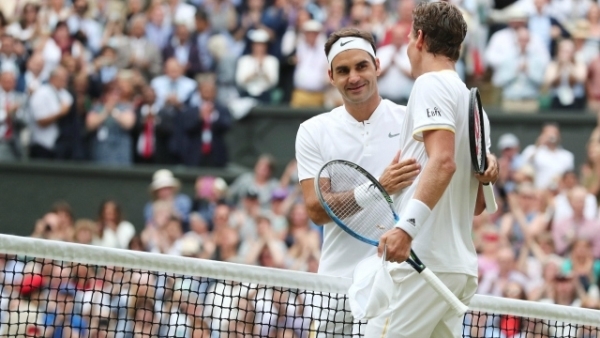 During the semi-finals, Berdych had numerous chances to take the second set against Federer before he was defeated. Beating arguably the greatest ever is not impossible, but it is the consistent presence of Federer’s aura and the overwhelming precision of his shot-making that makes defeat inevitable. It is fitting that in a season where Rafael Nadal swept the clay court swing and won his 10th French Open, Federer won the Australian Open and Wimbledon. 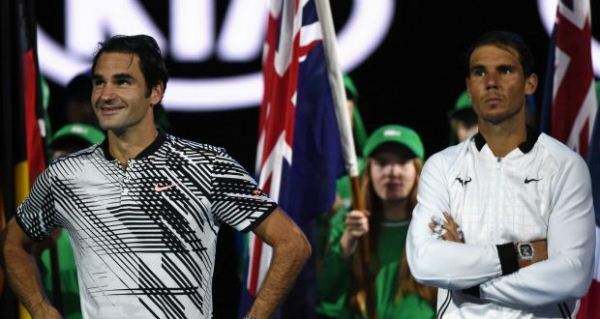 The old order is restored, so much so that Nadal and Federer will most likely be ending this year as the two top ranked players in tennis yet again. The fairy tale renaissance story is great, but Federer’s stats this Wimbledon were compelling. 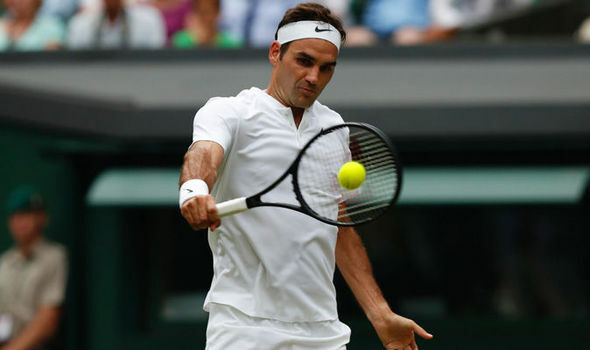 Never has Federer won Wimbledon without losing a single set and he is only the second man after Björn Borg to achieve the feat (which the great Swede achieved in 1976). Yesterday’s final was the fewest games a runner-up has won in 15 years. Not only this, but he lost his serve only four times in the entire tournament, ending with a first-serve percentage of over 80%. As Cilic hobbled, cried and looked devastated over his physical condition, there can be no denying that he’s had his best run at SW 19, though he looked far from the player who decimated Federer at the US Open in 2014. But Federer looks far from the player he was back in 2014 as well. How much more is in store for him? All the while looking towards his wife and children and towards the trophy he had longed to be reunited with. He said he’d love to be back and defend the title, but his age doesn’t offer many guarantees. Even if we don’t see his majesty on court at Wimbledon again, he has pushed greatness to an even higher level. No wonder the new generation cannot cope with such highly set bars. What are two or three Grand Slams in comparison to 19? For the rest of 2017, Novak Djokovic hinted he’ll be taking an extended break to work on his physical and mental problems. Andy Murray, the world number one, is carrying a hip injury which might dent his chances of defending a whopping 5000-plus points in the remaining season. Federer has nothing to defend, whilst Nadal has 350 to defend. The battle for the top ranking is clearly between the two warhorses that have dominated tennis for years. Only time will tell how the two greats perform from here onward. 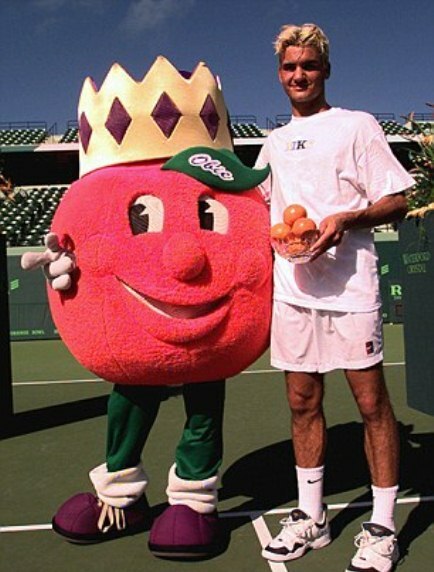 Roger debuted on tour 19 years ago. The boy who had temper, gold streaks and wore silver chains is now the epitome of tennis royalty. Such is the grace of the man that there is no other way tennis would like itself played. Tennis prides itself to have a player of Federer’s calibre on and off the court. He dominated with grace when he was in his 20s, and now he’s dominating when he’s in his mid-30s. So much for a mid-life crisis. The man is not a myth, he’s a legend. Oh, and a living and dominating one.